Since its opening in 1968, the Gundagai Museum has displayed a wealth of historical memorabilia depicting a life that was both hard and gracious. 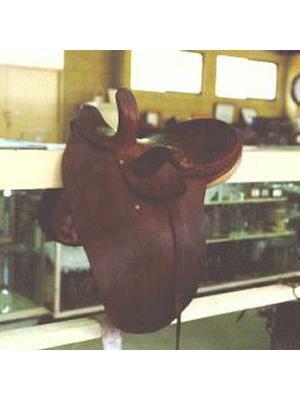 Special exhibits include Phar Lap's saddlecloth, the shirt worn by Banjo Patterson's Kiley of Kileys Run and the assayer's bowl used by US President Herbert Hoover. The museum also features displays on bushrangers; Melba XV; the famous Gundagai cow; and Aboriginal hero Yarri. Other items in its collection include scaled models of early buildings and historical photographs and documents. 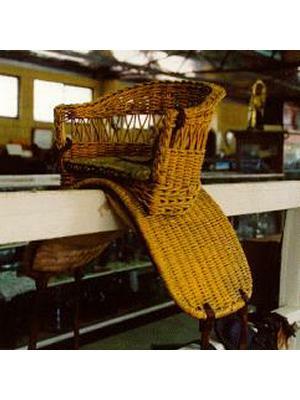 Child's saddle, made of wicker. 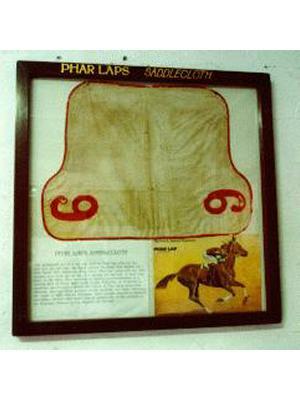 Phar Lap's saddlecloth worn in his last race before his death. 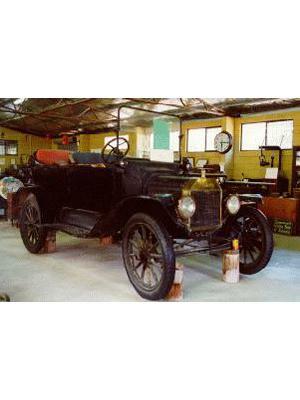 Early model automobile, the famous Model T.